92 out of 100. Incorporating 1000+ ratings and reviews. This is based on the J-200 guitar which was first produced by Gibson in 1937 as their premium flat top at that time. The current Epiphone EJ-200SCE adds a cutaway to the Super Jumbo body and includes Epiphone's eSonic2 pickup system. Many customer reviews praised the quality of the build as well as the sound. The tone is often described as "rich" and the volume unplugged as "loud". Many of the people who gave it positive ratings were ones that have a lot of experience and have owned multiple guitars. There were a few people who complained about feedback issues when amplified but it's difficult to tell what role the guitar or the amp played in this from reading their reviews. A couple of people didn't like the pickgaurd. 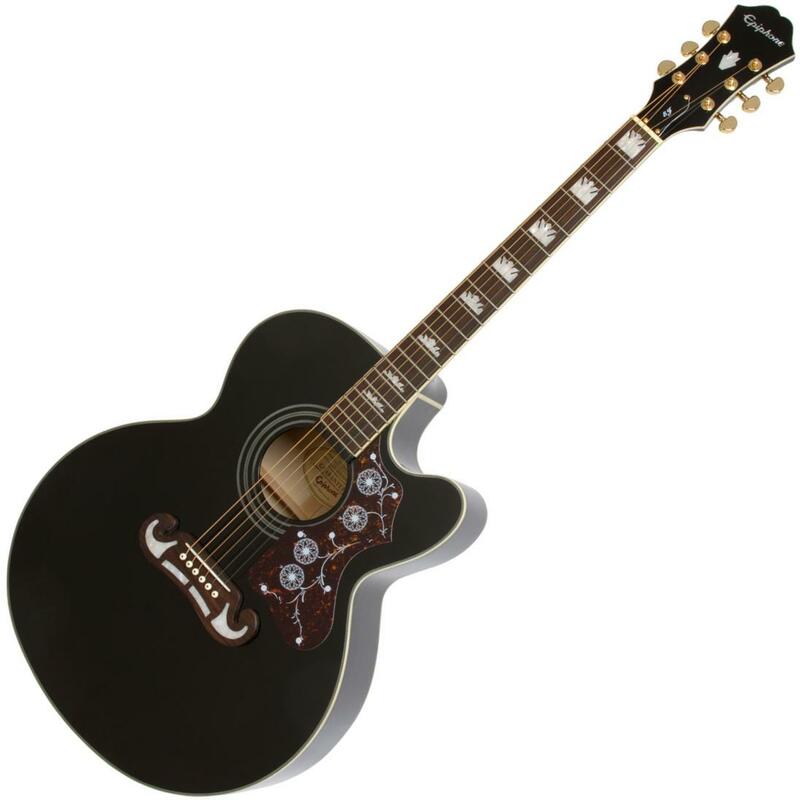 Epiphone have a strong reputation for making great acoustic-electrics in this price range and based upon customer reviews it appears the EJ-200SCE lives up to these high expectations. NB: Although we were recommending this guitar until August 2017, there are now more highly rated options available in our guide to The Best Acoustic Electric Guitars.